A Greek minister has declared that the new government will not be blackmailed by Germany into abandoning its anti-austerity programme. 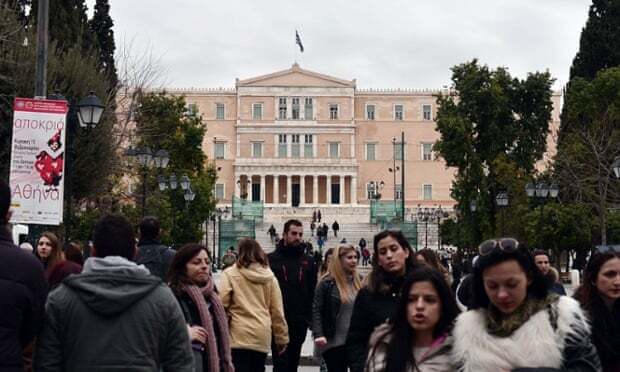 Panagiotis Lafazanis told the Athens parliament that there should be “no doubt” that Alexis Tsipras’s government will fully implement its “radical, progressive” programme. Lafazanis, the minister for Minister of Productive Reconstruction, Environment and Energy, also said that restoring industrial growth will be at the “core” of the government’s strategy. He also insisted that various planned sales of state assets will be cancelled. Such privatisations were simply nationalisations, to foreign powers, he said. But that may not please Greece’s creditors, as privatisations are a key part of the bailout programme. lafazanis says we will not be blackmailed by merkel and schauble and forced into retreat. "our program is not a flag of convenience". lafazanis: if some try to send ultimatums they should know they will have chosen wrong country, wrong people, wrong govt. bottom line: no energy privatizations, new strategy with diversified partners and agreements.